NOTE: To ensure the greatest access to viewers, when uploading Microsoft Office files (Word, Excel, or PowerPoint), please consider saving your file in the Microsoft Office 97-2003 version before uploading and attaching. 1. Click on the Add Images and other files button. 2. Select the root or namespace to which you would like to upload the file. 3. 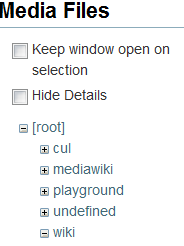 Choose a method by which to select the files from your computer. 3a. Drag and Drop To drag and drop files, select the file and drag it onto the Media Files window near Select Files. When the Move message appears, it is safe to drop the files. Multiple files can be drug onto the Media Files window. 3b. 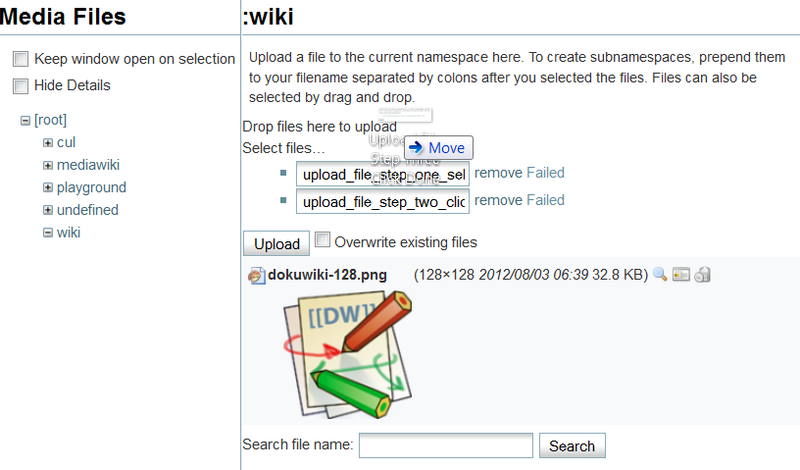 Select Files Click on Select Files to browse for the files to be uploaded to the wiki from your computer. 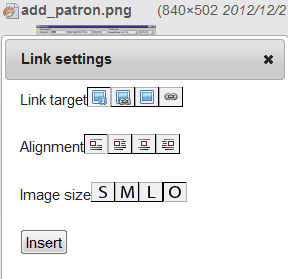 Place the cursor where you want the link to appear. Click on the Add Images and other files button.